Markov decision processes (MDP) are finite-state systems with both strategic and probabilistic choices. After fixing a strategy, an MDP produces a sequence of probability distributions over states. The sequence is eventually synchronizing if the probability mass accumulates in a single state, possibly in the limit. Precisely, for 0 ≤ p ≤ 1 the sequence is p-synchronizing if a probability distribution in the sequence assigns probability at least p to some state, and we distinguish three synchronization modes: (i) sure winning if there exists a strategy that produces a 1-synchronizing sequence; (ii) almost-sure winning if there exists a strategy that produces a sequence that is, for all ε > 0, a (1-ε)-synchronizing sequence; (iii) limit-sure winning if for all ε > 0, there exists a strategy that produces a (1-ε)-synchronizing sequence. We consider the problem of deciding whether an MDP is sure, almost-sure, or limit-sure winning, and we establish the decidability and optimal complexity for all modes, as well as the memory requirements for winning strategies. 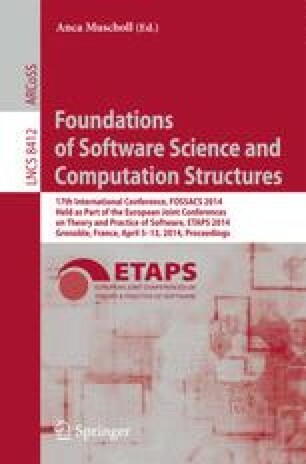 Our main contributions are as follows: (a) for each winning modes we present characterizations that give a PSPACE complexity for the decision problems, and we establish matching PSPACE lower bounds; (b) we show that for sure winning strategies, exponential memory is sufficient and may be necessary, and that in general infinite memory is necessary for almost-sure winning, and unbounded memory is necessary for limit-sure winning; (c) along with our results, we establish new complexity results for alternating finite automata over a one-letter alphabet.